Small sleeve fitting tightly over the shoulder to fall straight or flare over the upper arm. Sleeve that partially covers the forearm. Very short sleeve that puffs out because of pleats sewn at the armhole and the bottom of the sleeve; it is edged with a narrow strip of fabric or elastic. 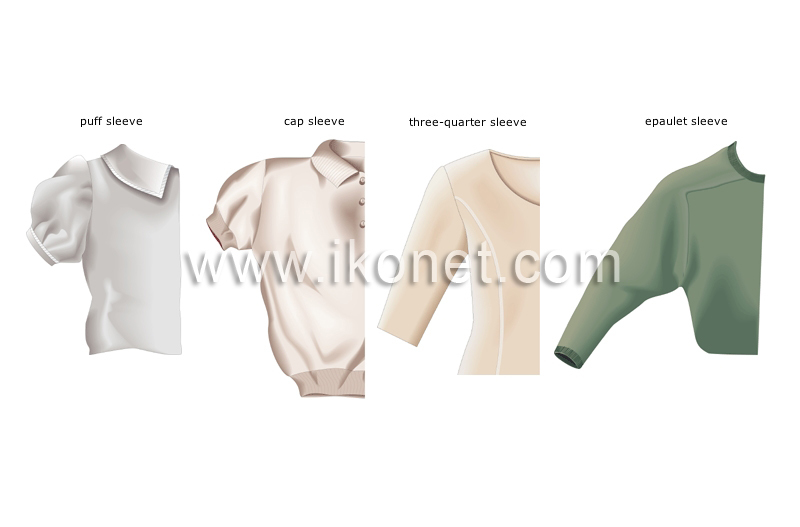 Sleeve extending to the neck by a strip that covers the shoulder.